England will play in whites for the first time since their Ashes disaster last winter when they take on Sri Lanka in a two-Test series. The visitors would no doubt be a buoyed side after triumphing in a closely-fought one-day series. Only two Tests in the schedule is quite a disappointment, considering the Sri Lankans have played three in each of their last three visits to England. The series is set to commence with the traditional season-opener at Lord’s, London to be played from June 12-16 while the second Test will follow from June 20-24 at Headingley, Leeds. Sri Lanka have failed to win in six attempts at headquarters – losing two and drawing four games. This will be the first time they will be playing at Headingley. The hosts have won four and lost one out of their last five Tests at Lord’s, whereas the corresponding figure for Headingley is one win and three defeats. England (first Test) – Alastair Cook (captain), Moeen Ali, James Anderson, Gary Ballance, Ian Bell, Stuart Broad, Chris Jordan, Liam Plunkett, Matt Prior, Sam Robson, Joe Root, Chris Woakes. The much-hyped rebuilding phase of the English team is set to begin, and the selectors have shown intent by including three potential debutants in all-rounder Moeen Ali, opener Sam Robson and quick bowler Chris Jordan, who was impressive in the ODI series. Ali in fact will also handle the spin-bowling duties, at least for the first Test, as no front line option has been named. Captain Alastair Cook and Ian Bell will play the roles of senior batsmen. Bell was recently named England’s player of the year for his exploits in last summer’s Ashes. Liam Plunkett, formerly of Durham and now of Yorkshire, earns a recall after seven years, and he will partner incumbents James Anderson and Stuart Broad along with newbie Jordan in an interesting looking quartet. Should Cook or Bell fail, the scoring pressure would fall on young Joe Root and wicketkeeper Matt Prior. Cook’s captaincy was painfully exposed during the horrendous Ashes campaign in Australia, a series which will always remain a blot on his leadership profile. He now has the onus of leading a fresh new side, sans the mercurial Kevin Pietersen – with whom the team finally lost patience due to his ego issues – and in partnership with a new coach in Peter Moores. Well not exactly new, for Moores had a stint as England coach five years back as well. Cook’s performance with the bat was nothing to write home about across both the Ashes last season, and his dismissal almost always started a procession of wickets in the Tests Down Under. A solid big innings from him is long overdue, and the new summer should bring new hope for him and his team. Sri Lanka – Angelo Mathews (Captain ), Lahiru Thirimanne, Dimuth Karunaratne, Kaushal Silva, Kumar Sangakkara, Mahela Jayawardene, Prasanna Jayawardene, Dinesh Chandimal, Rangana Herath, Dilruwan Perera, Shaminda Eranga, Nuwan Kulasekara, Nuwan Pradeep, Chanaka Welagedara, Dhammika Prasad. Many feel this is a very good chance for Sri Lanka to score a historic series win in England. Generally regarded as a poor Test side away from the sub-continent, this is a great opportunity for Sri Lanka to build on their recent limited-overs successes and also give their long-serving duo of Mahela Jayawardene and Kumar Sangakkara a victory on their likely last tour of England. So far, the visitors have shown commendable spirit, especially after the controversy surrounding their erstwhile coach Paul Farbrace’s defection to the English camp. This tour is a perfect chance for the likes of Lahiru Thirimanne, Dimuth Karunaratne and Kaushal Silva to prove their mettle in alien conditions, as also for the talented pace duo of Nuwan Pradeep and Shaminda Eranga. Angelo Mathews faces his first Test series as captain outside the sub-continent, and will be looking to make an immediate impact. His recent Test form with the bat has been good, with four eighty-plus scores in his last eight innings. As captain, patience will be the key as he bids to become the first captain to lead Sri Lanka to a victory in a series of more than one Test in England. Since Sri Lanka’s inaugural Test in 1981-82, the two teams have faced each other 26 times in all. England hold an edge, with ten victories as against seven defeats, nine games being drawn. In England, the record is six wins for England, two wins for Sri Lanka and five draws in 13 Tests. When Sri Lanka last toured England in 2011, the three-Test series was won 1-0 by England. Since then, the two teams were involved in a two-match series in Sri Lanka in 2011-12, which ended at 1-1 apiece. Sri Lanka’s two wins in England have come in 1998 – in the historic one-off Test at the Oval – and a series-levelling success at Trent Bridge in 2006. On both occasions, the star performer was Muttiah Muralitharan. The last time Sri Lanka won a series against England was at home in 2007-08. Tellingly, they have not won an overseas series against a ‘top-eight’ nation since 1999-00. In the latest Test rankings, England have been placed third, just a point ahead of Pakistan and two points ahead of India. The 5-0 thrashing in the Australian leg of the Ashes last winter was a sudden fall from grace, as things were looking much better prior to that series. In the 2013 home season, England were unbeaten as they beat New Zealand 2-0 in a two-Test series followed by a 3-0 win in the Ashes. Their last series against a sub-continental side was in 2012-13, when they scored a famous 2-1 win in a four-Test series in India. A lot has changed since that historic triumph. In their last ten home Tests, England have won five and lost two – both to South Africa. Also, their only two series defeats at home since 2008 have come against South Africa. Sri Lanka have been overtaken by the much-improved New Zealand in the Test table, and now sit at the seventh spot. That is pretty understandable, for they have of late preferred playing limited-overs cricket to Tests in their fixtures calendar. Their latest assignment was an expected 1-0 win in a two-match series in Bangladesh, before which they managed a 1-1 draw in a three-Test series against Pakistan in the UAE. Their last series away from the sub-continent was in 2012-13, when they were blanked 3-0 in Australia. In their last ten away Tests, Sri Lanka have won three and lost five. Ian Bell was the stand-out performer for England in the home Ashes in 2013 with three hundreds in three victories, and if not for him, the final scoreline might have been different. However, even he was found wanting against Mitchell Johnson and Co. in the return series. The new home season will no doubt give Bell plenty of incentive to resume scoring big, especially since he is the senior pro in the middle order following the sacking of Pietersen and the withdrawal of his Warwickshire team-mate Jonathan Trott due to stress issues. The last time Sri Lanka toured England in 2011, Bell’s average was an eye-popping 331, as he logged 331 runs with two hundreds and two fifties. A repeat of that will put paid to Sri Lanka’s hopes. Nuwan Kulasekara is regarded as one of the smartest limited-overs bowlers around today, but he has played just 20 Tests since his debut in New Zealand back in 2004-05. 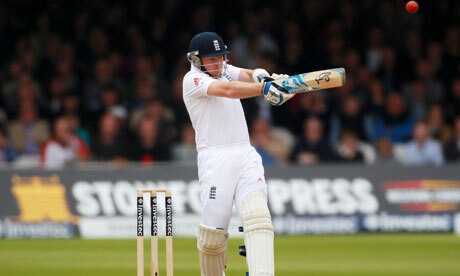 However in England, in a raw pace bowling attack, he will be shouldering the new-ball responsibilities. In his intermittent career in whites, he has taken more than five wickets in a match only once, and that was five years ago. 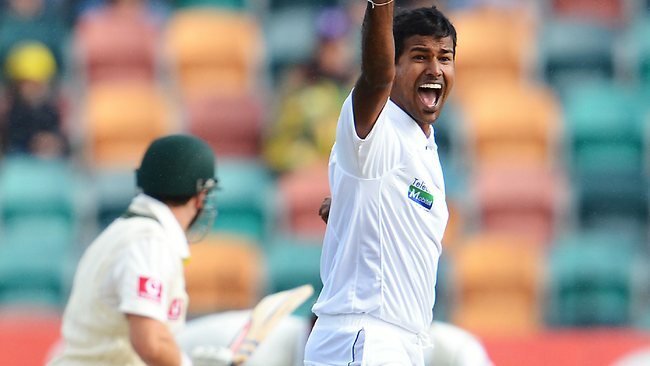 He has the ability to swing the ball generously in helpful conditions, and Sri Lanka will hope that this series is the beginning of a prolonged period of Test cricket for this lanky fast-medium bowler. He has played two Tests in England, back in 2006. Though he failed to pick a single wicket, he cracked a vital 64 – his career best – at Lord’s to help his side to a hard-fought draw. In a series of two Tests, Sri Lanka will find it difficult to gain momentum. England are a very formidable unit when it comes to playing in whites on their own turf, and the new-look team notwithstanding, should take the series 1-0.